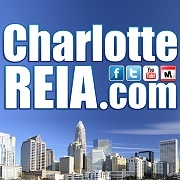 This is a special opportunity for 50 Charlotte REIA Members Only. Seating is very limited and will fill up fast. *PLEASE NOTE: This event is only $49 and is limited to 50 Charlotte REIA Members only and will fill up quickly due to this very low price for 2 full days of high quality training you can't get anywhere else. This price will go up after early registration expires. There will be absolutely no refunds for no shows, for those who leave early or arrive late. No exceptions. Date, Time & Location are subject to change. This event is NOT open to Non-Members. However, if Non-Members Join Charlotte REIA as a new member between June 2nd and June 10th, you may attend this event at no additional charge as a BIG THANK YOU for joining. Also, any Charlotte REIA Member who renews their membership for an additional year between June 2nd and June 10th may attend this event at no charge as well as a BIG THANK YOU for being a member of Charlotte REIA. Nothing But Paperwork Workshop on June 3, 2016 - Attend Online or In Person! Don't Let the Lack of Cash Slow You Down! 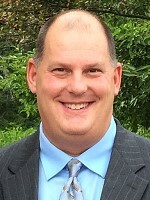 Our next Charlotte REIA Main Meeting will be on Thursday, May 5th at 6PM at the Crowne Plaza Charlotte Executive Park located at 5700 Westpark Dr in Charlotte, NC where real estate and private money expert Jay Conner will teach you “Where to Get the Money Now” to fund all of your real estate deals. All this is happening at the Charlotte REIA main meeting on Thursday, May 5th at 6PM at the Crowne Plaza Charlotte Executive Park located at 5700 Westpark Dr in Charlotte, NC. So don’t miss this rare opportunity to learn all about where to find the money to fund your deals! We look forward to seeing you at the meeting! 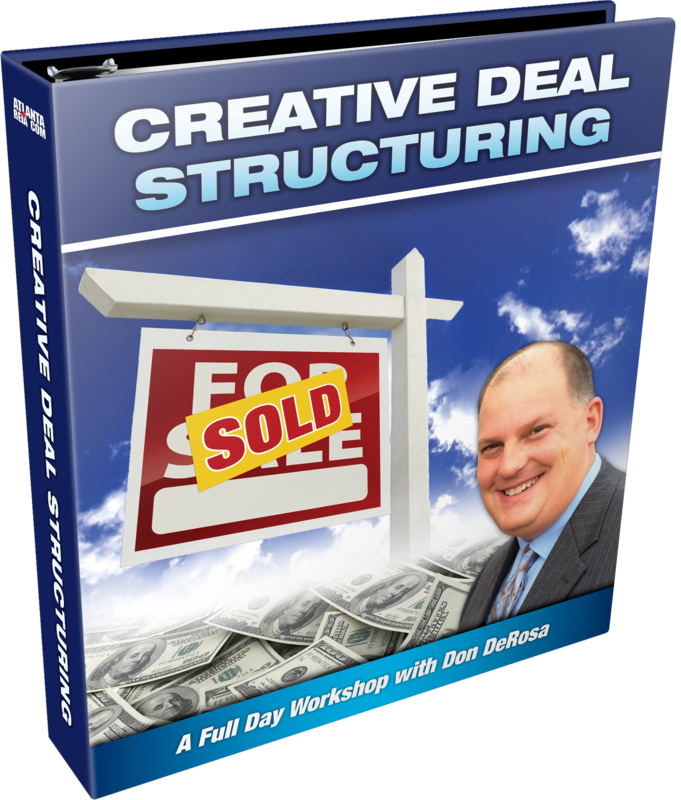 There’s more... if this is not enough, Don will be back with us on Friday, April 29th for a Full Day Online Workshop called "How to Jump Start your Wholesaling Business" to teach you everything you need to get your Wholesaling Business up and running fast. 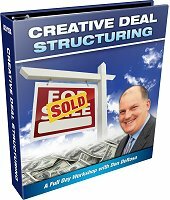 Once you are armed with Don's training and the tools, you will be able to make more money than you ever thought possible! Imagine this... You've found a deal. You're at the seller's house and everything seems to look good... but you suspect the sellers might have an appointment with your competition later. You need to lock this deal down NOW so you don't lose it. NO problem! You smile as you pull out your tablet, tap a few apps, run a few numbers and... BAM! In just a few moments, you've pulled comps, estimated the repairs, made your offer to the seller, gotten them to sign the contract, then submitted that contract to your title company, your attorney, and the seller... ALL BEFORE ever leaving their house! Best of all, it was not only EASY, but FUN to do it all that way! In addition to all this great information and training, Don will also be giving all attendees these additional bonuses valued at over $1000! Digital MP3 Audio & MP4 Video Recording(s) of the "How To Jump Start Your Hight Tech Homebuying Business" Online Workshop. This will not be delivered until after the event takes place and the files are created and edited. Don't miss this exciting opportunity to learn about how to operate and automate your entire real estate business using technology! Even if you can't attend the event due to your busy schedule, you can still sign up and get all the bonuses and the recording of the live training. Also, because it is an online training event, you don't have to travel to Atlanta to attend this event. You can attend online via GoToWebinar on your PC, Mac, Tablet or Smart Phone. This Event is Day #3 of the Jump Start Training Series. Each event can be purchased separately or as a package. Digital MP3 Audio & MP4 Video Recording(s) of the "How To Jump Start Your Wholealing Business" Online Workshop. This will not be delivered until after the event takes place and the files are created and edited. Don't miss this great opportunity to learn about how to wholesale all the houses you want without using any of your own cash or credit! This Event is Day #1 of the Jump Start Training Series. Each event can be purchased separately or as a package. 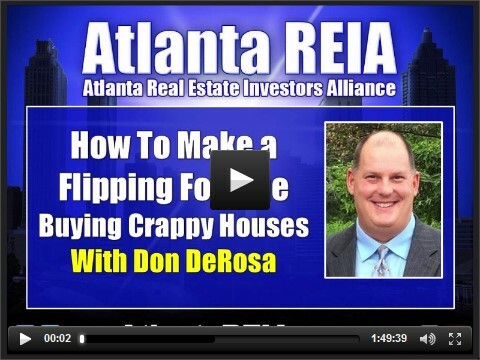 For more information on this event, be sure to register for the webinar we are doing with Don DeRosa on Wednesday, April 13th at 7PM ET on "How to Make a Flipping Wholesaling Crappy Houses". The top five negotiating tactics to get sellers to say "yes!" Don't miss this great opportunity to learn about how to buy all the pretty houses you want without using any of your own cash or credit! 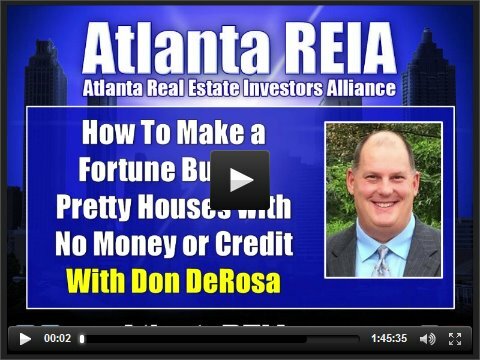 For more information on this event, be sure to register for the webinar we are doing with Don DeRosa on Wednesday, April 6th at 7PM ET on "How to Make a Fortune Buying Pretty Houses with No Money or Credit". All this is happening at the Charlotte REIA main meeting on Thursday, April 7th at 6PM at the Crowne Plaza Charlotte Executive Park located at 5700 Westpark Dr in Charlotte, NC. So don’t miss this rare opportunity to learn all about avoiding excessive taxation from a Tax Attorney, Accountant and Real Estate Investor all in one! We look forward to seeing you at the meeting! Be sure to join us on Saturday, April 9th, 2016 at the Charlotte REIA Education Center located at 8520 Cliff Cameron Dr, Suite 108 in Charlotte, NC. 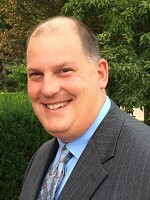 for a Full Day Workshop with Tax Attorney, Accountant and Real Estate Investor, John Hyre. At the Workshop, John will spend 7 full hours teaching you how to ethically and legally hammer the IRS and protect your assets. Get all this for a mere $59 per person for Gold Members, $89 for Silver Members & $129 for Non-Members and Guests. Workshop prices will increase to $89 per person for Gold Members, $129/person for Silver Members and $159/person for Non-Members and guests after early registration expires, so register now and save! This month you are all in for a very special treat. We will have our very own Linda Dana, as the speaker for our Charlotte REIA main monthly meeting. Linda will be talking about the most essential part of your real estate business, Marketing. The meeting will take place on Thursday, March 3rd at 6PM at the Crowne Plaza Charlotte Executive Park located at 5700 Westpark Dr in Charlotte, NC. No matter what business you are in, we are all in the marketing business. Whether you are marketing yourself, someone else, or a product, marketing is the key to success for any type of business. In the real estate arena, there are several different types of marketing as well as many different ways to reach different target groups of people. Linda will help to shed some light on these for you to help you put together a great marketing plan for your business. This is a meeting you will definitely not want to miss. Seasoned investors can always use a refresher course on marketing techniques that may have been forgotten and new investors need to have a solid foundation in marketing to get their business started on the right track. Don’t miss this great opportunity to network with other local investors and learn how to skyrocket your business success with the proper marketing! Linda, who is the founder of creative real estate mentors always reminds her students that in this industry it's all about MEN: Marketing, Education, and Networking. Dustin, her REIA parnter agrees, but says it all about WOMEN: Working On Marketing, Education and Networking. So you decide and join us on March 3 and you'll get all three! All this is happening at the Charlotte REIA main meeting on Thursday, March 3rd at 6PM at the Crowne Plaza Charlotte Executive Park located at 5700 Westpark Dr in Charlotte, NC. New Location This Month Only! We are excited to announce that Founder of the Institute for Advanced Results, LLC, Tamara Bunte, will be speaking at our Main Monthly Meeting on Thursday, February 4th at 6PM. The meeting will take place at the Holiday Inn Charlotte - Airport located at 2707 Little Rock Rd in Charlotte, NC. Tamara will be talking about how to develop new positive habits that will propel your business to new heights in 2016! It’s not about who you know, rather it’s who wants to know you! Tamara advises and consults with Fortune 500 Companies, Executives, Managers, Success Coaches and Sales Professionals in the areas of Peak Performance, Leadership, Organizational Behavior, and the Psychology of Achievement and Sales. Over the past 10 years Tamara has excelled in the world of coaching, working with top peak performers and inspiring people to become the best version of themselves. Tamara is the founder of The Institute for Advanced Results, LLC and the Foundation Focus on the Good. Don’t miss this great opportunity to network with other local investors and learn how to develop better habits that will help make 2016 your most successful year yet! All this is happening at the Charlotte REIA main meeting on Thursday, February 4th at 6PM at the Holiday Inn Charlotte - Airport located at 2707 Little Rock Rd in Charlotte, NC. After the conclusion of the Charlotte REIA Meeting, we will be reconvening in the Hotel Lounge for Late Nite Networking. Food and drink specials for our members and guests. Come eat, drink, network and have fun with us as hang out late into the night! Charlotte REIA Members Attend for FREE and Guests for Only $3 at the Door. Guests can join Charlotte REIA for Only $129/year and Attend for FREE! Monthly meeting are GREAT but If you can't wait until our next monthly meeting to get your investment fix, this is the answer you've been looking for. Join us the Charlotte REIA Every Wednesday morning as we grab a cup of coffee with about 20 or so local pros. Real People who made the Choice. This is a great opportunity for investors to network with the local "players" and learn from those who are doing it every day. Join us every week and discuss various real estate topics, review deals and so much more. Education is the key to better your investing strategy. You really need to check this out!!! Please mark your calendar and make plans to attend our Rock Hill, Fort Mill, and York County Group which is a subgroup of the Charlotte REIA. The meeting will take place on Monday, January 25th at 6:30PM at Empire Pizza & Bar located at 1504 Carolina Place Dr. in Fort Mill, SC. Don't miss this meeting for some great information and great networking with local investors in your own backyard! We are looking forward to seeing you at the meeting! Please make plans to attend this meeting each month on the 4th Monday. PLEASE NOTE: The audio doesn't start until 1 minute & 37 seconds into the recording.